The Russians are now following the North Korean line, saying the expansion of NATO Missile Defence Shield capabilities is an “emerging threat” to its national security, and that US claims that the most recent shield in Romania is to deflect Iran missiles, has been adamantly dismissed by President Vladimir Putin as a cover-up. Putin was reported by the AFP as saying “Now that these anti-missile elements have been installed we will be forced to consider putting an end to the threats emerging in relation to Russia’s security,” suggesting NATO’s actions are a global threat to security. 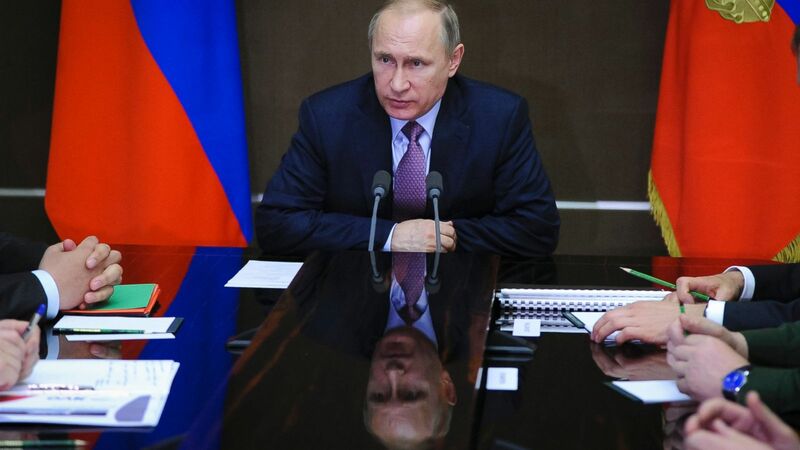 Putin added “[Russia] will do everything needed to ensure and preserve the strategic balance, which is the most reliable guarantee from large-scale military conflicts.” However, Putin stated that he does not wish to get into an arms race. At what temperature will this not-so-Cold War reach? Since President Obama was elected into the United States, Turkey has received a fully operational radar system operated under NATO command, and Romania, with her new US missile defence site in Deveselu – as the second stage – has gone live this week. 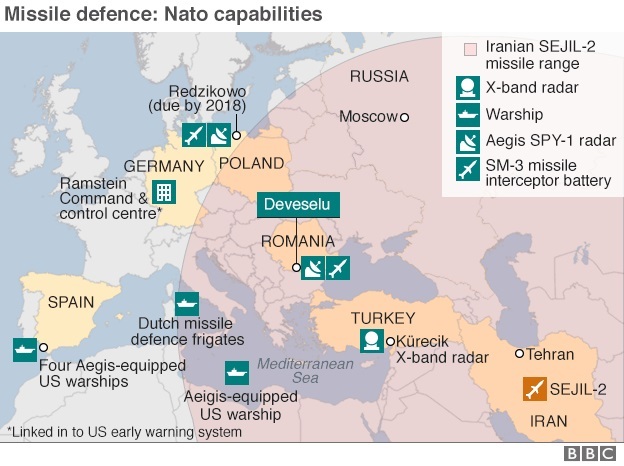 Further missile sites under NATO are underway in Redzikowo, Poland and due to be finished in 2018, and further control centres will be established in Latvia, Estonia, Lithuania and Bulgaria by the end of this year. This move will see NATO active on the vast majority of the Russian-Baltic borders and Russian-Balkan borders stretching down to Serbia. 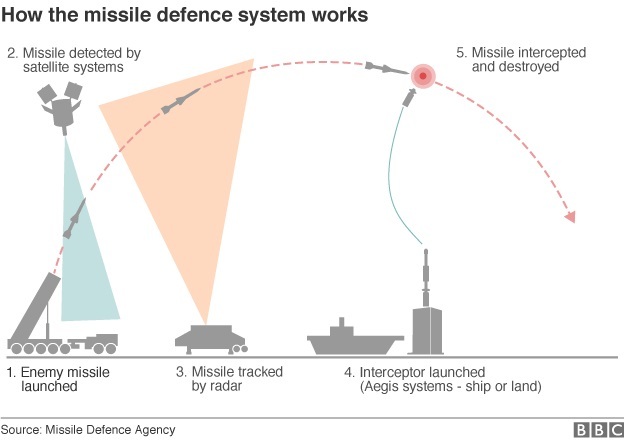 Putin, however has also questioned why, when Iran was now supposedly secured, did the US feel the need to continue NATO deployment of missile shields. Is this about Iran or about Russia? Sweden, Denmark, Finland, Norway and Iceland have also declared their support for NATO bases, supporting the West’s presence in the Baltic-Nordic regions, too. In a sickening slow-motion to what seems like pre-emptive manoeuvres before the real crisis commences; Russian deployments along its eastern flank will grow three-fold with new divisions by December 2016, shoring up its borders. Meanwhile, US Defense Secretary Ashton Carter is hinting at an additional rotating four battalions of troops throughout eastern member states. Russian officials have also announced in January that five nuclear missile regiments would be brought into service, reported Reuters. Be that you support the East or the West, or you prefer to remain neutral in it all, one has to mention the lurking white elephant in the room: at what temperature will this not-so-Cold War reach? The Cold War is thawing at a quickening Pace, but who will back down first? Sources: Mail Online, Sky News, BBC, Reuters, ABC News.